Fleming’s Prime Steakhouse & Wine Bar (25 E. Ohio St., Chicago; (312) 329-9463) is hosting Silverado Vineyards at a wine dinner 6:30 p.m. Friday, July 29—showcasing five exceptional wines with winemaker and spokesperson Jon Emmerich. The dinner starts with a reception course consisting of Chicken Saltimbocca, Ahi Tuna on wontons and Prosciutto Wrapped Asparagus Spears paired with Silverado “Miller Ranch” Sauvignon Blanc, Yountville, Napa, 2009. The first course is Scallops with Meyer lemon honey glaze paired with Silverado Estate Chardonnay, Napa County, 2009. The second course is Heirloom Tomato and Fresh Mozzarella with basil, EVOO and aged balsamic vinegar paired with Silverado Estate Merlot, Napa Valley, 2006. The main course is a Petit Filet Mignon, chimichuri and F17 sauces with roasted Yukon potatoes and Green City Market vegetables paired with Silverado “Solo” Cabernet Sauvignon, Stags Leap District, Napa Valley, 2007. The dinner concludes with Chocolate Crème Brulee with Green City Market fresh berries paired with Silverado Estate Cabernet, Napa Valley, 2007. The dinner is $99 per guest (excluding tax and gratuity) and includes Silverado wine selections paired with the special five-course meal created by Fleming’s Chef Jerl Griffin. Reservations for the Silverado Wine Dinner with Jon Emmerich at Fleming’s are required and may be made by calling (312) 329-9463. Please note that space is limited. Jon Emmerich, raised in Redwood City—a suburb south of San Francisco, has grown Silverado Vineyard’s reputation for quality and consistency. He attend college at UC Davis, where he enrolled in the Fermentation Science program—introducing him to the world of California wine. Emmerich’s passion led him and his roommate to use their dorm room as a place to make wine. He later took an internship in France where he learned more about traditional wine making craft. Emmerich received a BS in Fermentation Science from UC Davis and started working a harvest at Stags Leap Wine Cellars. 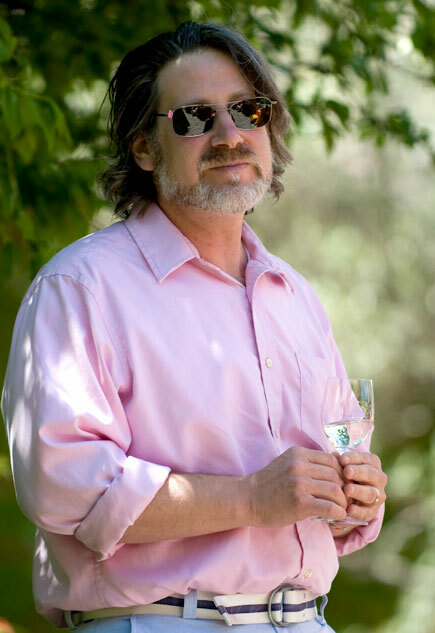 He went on to work at Conn Creek Winery and Sebastiani and in 1990 joined Silverado Vineyards. Emmerich wears many hats at Silverado Vineyards, from managing winemaking to meeting consumers on the road. He is also currently on the Board of The Trellis Alliance, an advisory committee to the UC Davis Viticulture and Enology Department. In the past, Emmerich has held presidential positions of the Napa Valley Wine Tech Group and the Winemaking Techniques Committee of the California Enological Research Association. Silverado Vineyards was established in 1981 by the Miller family. Diane and Ron Miller purchased the estate in the 1970s, selling their grapes to Napa’s best vintners who made award-winning wine. They eventually started making their own wines, offering the best they could produce for a fair price—this idea has remained their guiding philosophy since. For more information about Fleming’s Prime Steakhouse & Wine Bar, please visit http://www.flemingssteakhouse.com/.